ABOUT THE AUTHOR: Tony Mirabella is a radio show host and writer from Bronx, New York. He has been watching wrestling for 35 years and co-hosts Unplugged and The Pro Wrestling Rewind on the SNS Radio Network. His Twitter is @SNS_BronxZilla. Well, winter is fading, Spring is here and it’s that time of year again. Time for the wrestling fans to rejoice! Time to get excited! It’s time for WrestleMania, the greatest spectacle in all of wrestling. Well, not so much. I’m sitting here on Easter Sunday with only 7 days to go until Mania, and I find myself, well, underwhelmed. Now, I’ve been telling myself over and over again that we need to give the WWE a pass this year. We have numerous injuries. Seth Rollins is out. John Cena is out. Randy Orton jobbed to his garbage disposal and is injured. And, of course, we have Daniel Bryan gone. Just gone. So, should we give the WWE a break and just be thankful for what we’re getting? The storylines leading up to WrestleMania have been completely stale in my opinion. Let us tackle the big elephant in the room first. Everyone, including myself, marked out huge when Shane McMahon returned on Raw. Yes! I’ve talked about this happening on numerous radio shows. Shane O’Mac triumphantly coming back to the WWE! Immediately upon his return, he challenges his father, stating that the business has become stagnant since he, Shane, left. Truer words were never spoken! Shane says that he wants control of Raw. Vince states that control of Raw is essentially control of the entire WWE. Vince agrees to give Shane control of Raw if Shane can defeat the Undertaker in a Hell In A Cell match at WrestleMania 32. Okay. Hit the pause button. Stay with me here! Now, Vince McMahon has stated in a confusing, gibberish-laden promo that if Undertaker loses he will never be allowed to compete at WrestleMania again! So, we have one of two scenarios. If Shane manages to win, the Authority goes away, at least on Raw , which NEEDS to happen! It needs to happen more than peace in the Middle East! But, that would mean that the beloved Undertaker will have lost twice at WrestleMania, and will never be able to compete at the event again. Of course wrestling has proven that stipulations can change. Remember Randy Savage getting “retired” by the Ultimate Warrior? If Undertaker wins, he has effectively helped keep the hated Authority in power. It’s just convoluted. It’s rushed. It’s desperate. It’s pathetic. It almost seems that no matter who wins, everyone loses. We have the WWE World Title Match which will see Triple H defend his title against Roman Reigns. Just in case you didn’t know, Triple H is supposed to be the heel! Yes! Can you believe it? Maybe not. Because since this all started, Roman Reigns has been getting booed out of the building while Triple H gets cheered when he leaves Roman a bloody mess. The Roman Reigns experiment has failed. Utterly, completely. It’s not Roman’s fault. John Cena was forced down our throats for ten years, and the fans knew it. The fans got sick and tired of seeing this guy overcome the odds and no-sell everything. 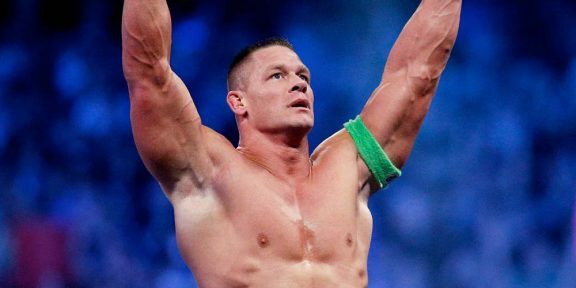 Long after Cena was stale and should have been pushed to the side, he continued to be the WWE darling. CM Punk’s title reign was actually him holding the belt for Cena. I’m not a huge Punk fan, but he makes a good point. A pay-per-view has one main event. It is the last match. How many PPVs saw Cena in the last match while Punk defended the title in the middle? The fans sense that Roman Reigns is the brainchild of Vince McMahon. They know he’s being groomed for that top spot. That makes the fans angry. In this day and age, you don’t tell the fans who they should cheer for. Daniel Bryan was so over because the company didn’t want it to happen! It was generic. The fans picked Bryan, not the company. So, between the crap promos he’s been laden with, and the knowledge that Vince falls asleep every night dreaming about Roman, the WWE has effectively poisoned the thought of Reigns as the face the of company. If Roman vs Trips ends WrestleMania and Roman wins the belt, you can expect 100,000 fans to boo and possibly throw garbage into the ring. But, if Triple H retains you now have, effectively, a retired wrestler holding your most prized title. Wait. Did I just say prized title? It hasn’t felt that way since Seth Rollins got injured! Dean Ambrose vs Brock Lesnar has potential. That potential only shows itself if Ambrose somehow wins. But, that in itself creates some issues in my mind. We have Brock Lesnar, the guy who beat the streak, losing to Ambrose at WrestleMania. Brock never should have beaten the streak. We will now always see Brock as that guy, and while I do hope Ambrose wins, I have it in my head that he’ll be the guy who beat the guy who beat the streak. Ambrose should be fighting Triple H for the title. Ambrose is over. But, because he’s not over 6 foot 5 with flowing locks and puppy dog eyes, Vince McMahon doesn’t see him as a draw. Notice how all these problems go back to Vince McMahon? The rest of the card looks pretty good. I’m looking forward to the IC Title Ladder match. I think that Owens should retain to keep him looking strong. At the end of it all, the booking for this year’s card is kind of lackluster. Again, I think it all comes back to a delusional old man who is out of the touch with the product not willing to accept that fact. WrestleMania should have a long buildup. It seems like this card was put together overnight, and the stipulations in some of the matches are ridiculous. The Authority needs to die. It needs to die quickly. Raw is absolutely stagnant. It is possibly the worst wrestling product in years. Abysmal. Disgraceful. I’d rather watch paint dry in high humidity. I’m tired of seeing Stephanie and Triple H open every damned show! I’m tired of the meaningless filler. 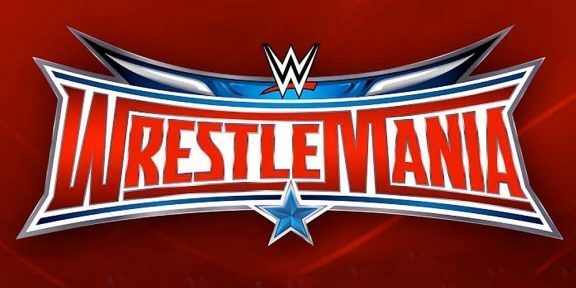 WrestleMania is supposed to end one booking year and begin another. It better. Because if 2016 remains a mirror images of 2015 which was a mirror image of 2014 which was a mirror image of 2013, I’m going to tap out. My fandom is on life support, and I’m holding the plug in my hand. Here’s hoping WWE doesn’t force me to pull it.